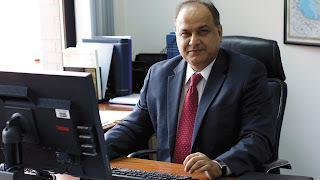 World Bank, has been appointed Indian Saroj Kumar Jha to one of a key post. The World Bank has been operating in the United States, having its headquarters at Washington. Jha till last week was World Bank's Regional Director for Central Asia based in Almaty since February 2012. Jha assumed the position of Senior Director for the Fragility, Conflict and Violence Group at the World Bank yesterday. Jha has been tasked by World Bank President Jim Young Kim to provide strategic leadership to address the challenge of fragility, conflict and violence, working across the Bank Group and in close collaboration with partners. • He is an Indian national and holds a dual degree in civil engineering and development economics from the Indian Institute of Technology (IIT) Kanpur, India. • He joined the World Bank in 2005 as a Senior Infrastructure Specialist in the Sustainable Development Network. • He had significant experience with the Government of India and the United Nations Development Program (UNDP) as a senior executive in the field of public sector management, infrastructure financing, natural resources management, natural disaster prevention and environmental sustainability. • He is credited for innovations in regional cooperation, social safety nets, and grievance redress mechanisms in various regions of the world. • He also served as head of the Global Facility for Disaster Reduction and Recovery, now the world's largest global fund for disaster prevention and post-disaster recovery operations. • He led international response efforts to many global catastrophic disasters. With almost half of the world’s poor expected to live in countries affected by fragility, conflict and violence (FCV) by 2030, addressing this challenge remains a concern for achievement of the new Sustainable Development Goals, and a priority for the World Bank Group (WBG) to end poverty and promote shared prosperity. The challenge is widespread, and not confined to low-income countries. The last few years have seen a spike in conflicts with an increase in casualties, and almost 60 million people are displaced globally – the highest level since the end of World War II. Violent extremism is a growing concern, and urban violence is on the rise, connected to inequality. Homicide rates are four times higher in countries with a Gini index greater than 0.45 than in more equal societies. The WBG provides financing, analysis and knowledge, and builds global partnership to support countries addressing the challenge of FCV, by focusing on conflict and violence prevention and resilience; humanitarian and development continuum and forced displacement; security and justice; political transitions and local governance; bottlenecks to private investments and job creation.